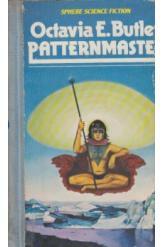 Patternmaster by Octavia Butler, Sci Fi. Book is in good condition, all pages intact. In a dystopian society ruled by telepathic control, the tyrant Patternmaster is dying...and with him, the social order on which his underlings rely. Coransee and Teray, heirs of the Patternmaster who share his power, now battle for control, and to the death.